The Stearman Press SP-445 is a very compact, daylight-safe 4x5 developing tank that can process up to 4 sheets at a time with only 475ml of solution. 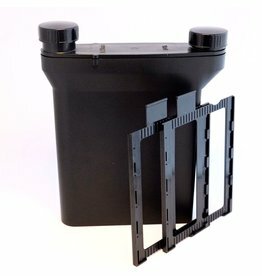 Well made of ABS plastic, this is an easy-to-use tank for developing your own 4x5 sheetfilm. Stearman Press SP-445 4x5 developing tank.